Browne Bushell, a former owner of the hotel, was executed with charges relating to piracy. He returned to the hall after his death and has been seen there many times since then, walking up and down staircases at the hall. Guests have also heard the clatter of footsteps up and down the staircases, even though no-one was there to be responsible for the sounds. There has also been other strange phenomenon associated with the Hall over the years, including poltergeist activity, a strange shape gliding up and down the stairs, lights being switched on in an empty room, cleaners hearing voices whispering and the sounds of a small child crying in an empty room. Bagdale Hall hotel is actually housed in three historical buildings, one of which is the atmospheric Tudor house that was built in 1516. Another of the buildings is named No. 4 Bagdale, and is a charming Georgian townhouse, and the remaining building is a large detached Georgian house which was built in around 1770. Whichever of the residences that you choose to stay in for your trip to Whitby, you’re sure to enjoy the historic and atmospheric surroundings. Bagdale Hall hotel offers a range of accommodation to suit every budget and personal taste. Bagdale Hall has six en-suite bedrooms, five of which have four-poster beds. All of the rooms boast spectacular features such as oak beams, large fireplaces and traditional antique furniture. No. 4 Bagdale offers eight en-suite bedrooms, all of which have four-poster beds, high ceilings and grand public areas, with sweeping staircases and an imposing hallway. The Lodge offers 12 double bedrooms, all of which are en-suite. The restaurant and bar of the hotel are both situated at Bagdale Hall, which is only a short walk from both No.4 Bagdale and The Lodge. The restaurant offers a high quality menu, using only locally sourced produce and the best cuts of poultry, beef and game. The wine list at the hotel is also extensive, with wines from all over the world to complement your food. The Hall also offers facilities for weddings if you’re looking for a different style of wedding venue. 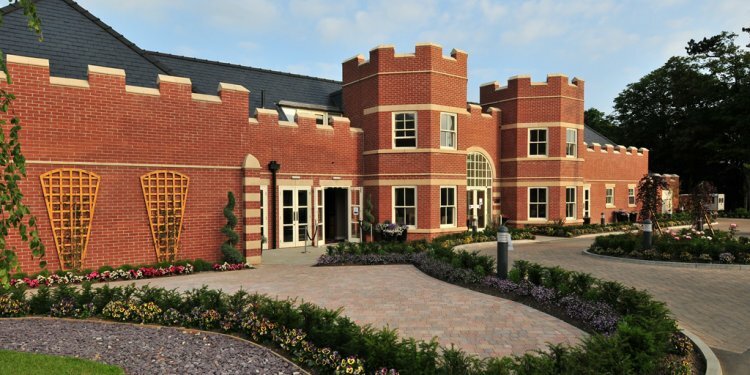 Whichever residence you choose to stay in at Bagdale Hall, you’re sure to have a fantastically relaxing stay. Whitby is a charming town in North Yorkshire that has plenty to see and do. Visit some of the local bars, cafes or restaurants or visit some of the local historical monuments, such as the local parish church, St. Mary or Whitby Abbey. Bagdale Hall – Four Poster Bed Suite – £90.00 per person per night, breakfast included. Bagdale Hall – Four Poster Bed – £80.00 per person per night, breakfast included. Bagdale Hall – Double Room Suite – £80.00 per person per night, breakfast included. No.4 Bagdale – Four Poster Room – £70.00 per person per night, breakfast included. Bagdale Lodge – Double Room – £55.00 per person per night, breakfast included.